Over the past 25 years Utah's resorts have morphed from one-season winter playgrounds to four-season destinations with a plethora of activities year-round. The trend started slowly as they ventured into the summer market, first with the addition of alpine slides and lift served mountain biking. 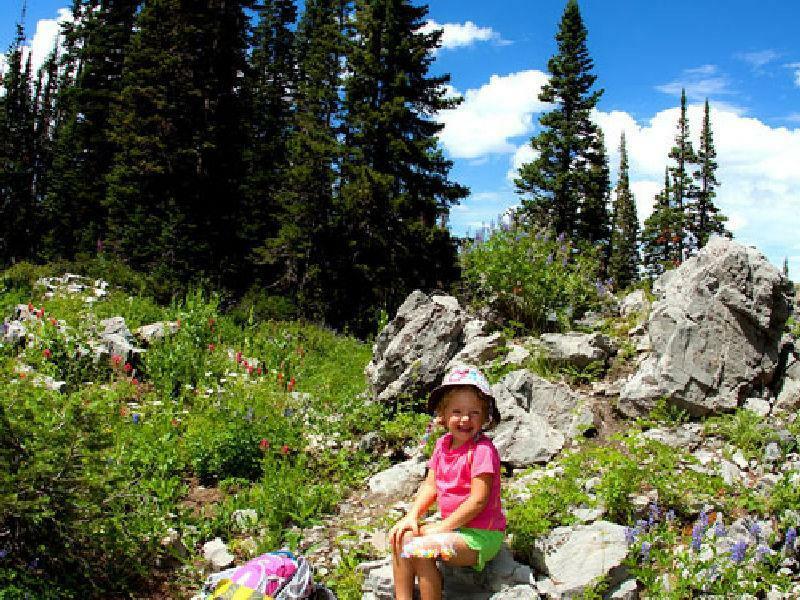 Through the years Utah's ski resorts have gone from minimal summer offerings to a multitude of activities including outdoor concerts, climbing walls, alpine coasters, zip lines, extensive hiking and biking options, and much more. After the snow melts, when temperatures rise and skiing is no longer an option, the resorts transform into family-friendly summer vacation spots with activities perfect for all ages and energy levels. From hiking to biking to kid camps to spas, every member of your family will find an activity that makes for a memorable, unique summer vacation. Each Utah resort offers exclusive summer offerings to locals and visitors alike. 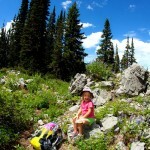 Snowbird Ski and Summer Resort offers many exciting and fun family activities in the summer. The resort hosts a variety of events, including its annual Brewfest, free concerts every Saturday night as part of the Cool Air Concert series, Snowbird Family Flicks every Friday night, Stargazer astronomy lectures on Hidden Peak, and Oktoberfest in August, September and October. Aerie, Lodge Bistro, El Chanate and The Steak Pit. 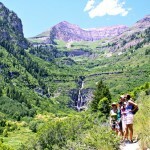 Alta has stayed true to its roots and offers only limited summer activities. 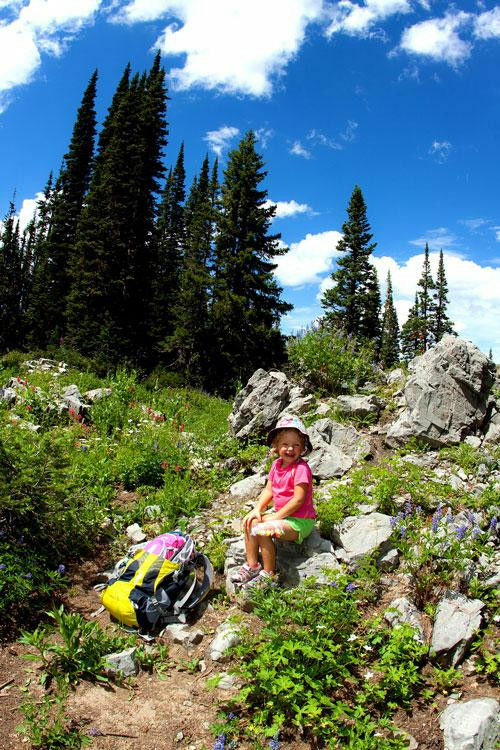 With some of the most amazing wildflowers found anywhere, Alta is the ideal resort to find peace and quite while exploring world-class hiking and biking trials. For the ideal weekend getaway the Alta Lodge is open daily during the summer season from June through mid-October for meetings, retreats, weddings and lodging. The dining room and deck are open for Sunday Brunch and Saturday lunch. Continental breakfast is included with overnight lodging. Sunday Brunch is accompanied with live jazz. 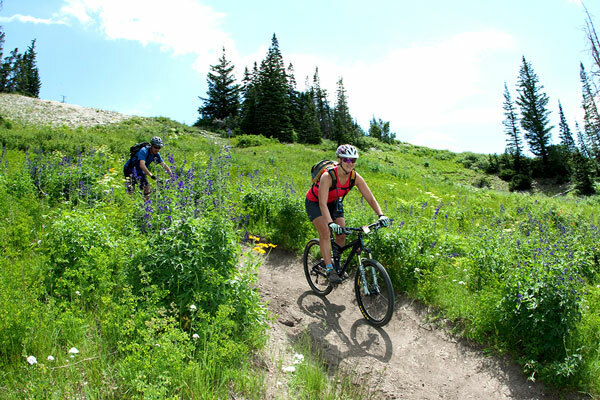 Solitude Mountain Resort offers lift served biking, hiking and disc golf Fridays, Saturdays and Sundays. Scenic chairlift rides and uplift for hiking and mountain biking takes place on Solitude's Sunrise triple chair. From there, visitors may explore miles of singletrack on Diggler Scooters or mountain bikes, or explore some of the most geologically diverse terrain in the state by foot. Solitude's high alpine course also offers 18 holes of disc golf. On Saturdays and Sundays, brunch and dinner will be served throughout the summer at Honeycomb Grill or follow a guide on a short alpine hike to the Yurt at Solitude where a chef prepares a four-course meal while guests watch the sun set on the Wasatch. For lighter fare, the Stone Haus Pizzeria & Creamery is open Wednesdays through Sundays for lunch or dinner, serving hand crafted pizzas and barbecue. Deer Valley Resort offers a spectacular setting to connect with Mother Nature, experience majestic mountain views, relax from the stress of everyday life and participate in activities. Lift-served mountain biking is offered from Silver Lake Express at the base, Sterling Express at mid-mountain and Ruby Express at Empire Canyon. 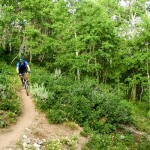 Many Deer Valley trails connect with the Park City network of singletrack, providing access to 400 miles of trails. Deer Valley offers deckside dining at Royal Street Café and Deer Valley Grocery Café. The return of summer means the return of outdoor concerts at the beautiful Snow Park Outdoor Amphitheater. World-renowned artists, headlining musicians and local bands regularly take to the stage during Utah Symphony | Utah Opera's Deer Valley Music Festival, the Park City Performing Arts Foundation's St. Regis Big Stars, Bright Nights series and the Frontier Bank Free Community Concert series. 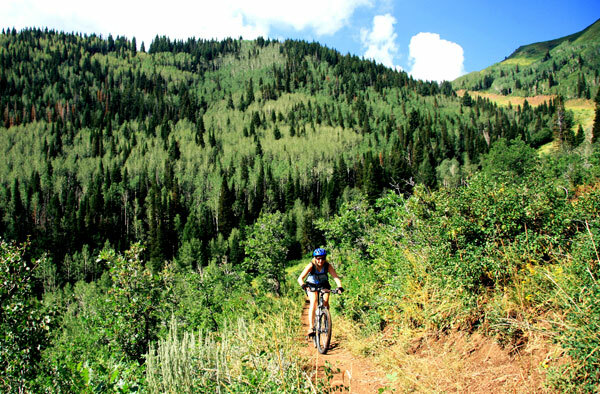 The 2013 Canyons summer season features fast-paced and high-flying adventures like Canyons Bike Park and Zip Tour Adventure, serene encounters with nature via an enhanced network of hiking trails. Plus, take a pedal boat on Canyons alpine lake, family favorites like fireworks, concerts, fishing, 18-hole putting course and disc golf, and award-winning culinary magic and "al fresco" dining from the Talisker Restaurant Collection. Canyons is the host of the weekly Farmer's Market every Wednesday at the base of the Cabriolet lift. The Farmer's Market is packed full of local artist goodies and delicious locally grown foods. Park City Mountain Resort's summer activities operate daily with summer dining options like Crescent Burger, just steps away from the resort's base area activities, and Legends Bar and Grill in the Resort Plaza. Park City Mountain Resort features several options for mountain thrills for the family. Its four-track alpine slide is one of the longest in the world. The resort's alpine coaster banks and drops down the mountain at speeds up to 45 mph while two ZipRider lines send guests soaring through the trees 110 feet off the ground. The Flying Eagle Zip Line is a two-person ride gliding over the Resort's Main Base Area. Guests can also catch big air on the Legacy Launcher, the resort's bungee-assisted trampolines, or explore a variety of hiking and mountain biking trails accessed from the Town lift, connecting the mountain directly with Park City's historic Main Street, or Payday Lift in the resort's base area. The Adventure Zone, for kids, is made up of the Spider Slide, Climbing Web, Boulders that simulate the rocky terrain of Southern Utah, and the Climbing Wall. Little Miners Park, for the resort's youngest guests, includes a merry-go-round, airplane ride and mini train. Experience the new Adventure Courses at Utah Olympic Park this summer. These unique activities challenge guests to overcome fear, test their limits, and build skills as they weave through an intricate course of ropes and other features. The courses offer guests memorable team-building experiences and may also be rented for private groups. Other guest favorites include a bobsled ride down the Olympic Track, ride on the Extreme Zipline simulating flight similar to that of the Olympic K120 jump, and scenic alpine slide ride along the Olympic ski jumps. Watch the Flying Aces soar up to 60 feet in the air, while flipping and twisting on skis, during the Flying Ace All Star Freestyle Pool Show. The Olympic Freestyle pool is the home to Summer Freestyle Jump Intro Clinics. These clinics as well as private lessons are perfect for anyone who wants to learn to jumps and tricks while landing safely in the freestyle pool. Reservations may be online at UtahOlympicLegacy.com. The Utah Olympic Park, Alf Engen Ski Museum and Eccles Salt Lake 2002 Olympic Winter Games Museum are open daily and admission is free. 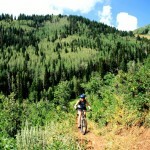 Mountain bikers will enjoy the same terrain that makes skiing and snowboarding at Sundance so amazing. Ride the lift up, along with your bike and then experience some remarkable trails. Day passes, twilight passes and season passes are available. 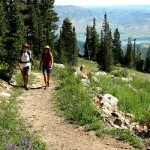 Sundance also offers scenic lift rides, including full moon, horseback riding and fly fishing. 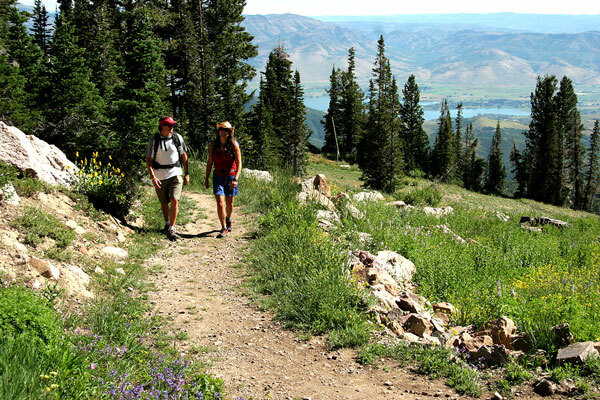 The Brian Head Family Adventure is a self guided interpretive and activity course along the Dixie National Forest's incredibly scenic Vista Trail. The three-mile long trail is filled with fun and exciting activities including fossil excavation, panning for gold, cattle roping, pictograph painting and rock hounding. Eagle Point Resort, located 18 miles east of historic Beaver, Utah and a scenic 3.5 hour drive from Las Vegas or Salt Lake City, is an all seasons destination resort open on weekends offering lodging, fine dining, summer activities, camping and day excursions to nearby attractions like Bryce Canyon and Zion National Park. 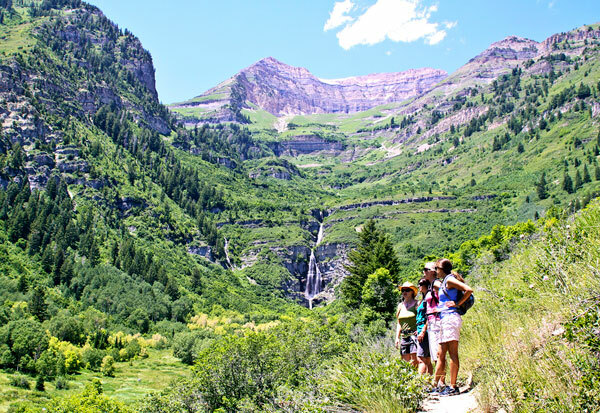 More than just an awesome ski resort, Eagle Point in Utah's Tushar Mountains is an authentic summer high mountain getaway, especially for visitors living in the surrounding desert heat of Las Vegas, Arizona, southern Utah and southern California. Weddings, reunions, team-building events or even a romantic getaway are some of the many occasions to spend at this beautiful setting. Several lodging options are at the village at Eagle Point with over 120 condos and cabins. The Canyonside Lodge has a fine restaurant, bar and lounge. Summer activities include hiking, flyfishing in nearby Beaver River and Puffer Lake, horseback riding, mountain biking, paint ball and a nine hole disc golf course. Snowbasin offers rides on Needles Gondola for spectacular views and access to unparalleled hiking. There are three trails exclusively for hikers. All three lead to the crest of the ridge for breathtaking views of the valley far below. 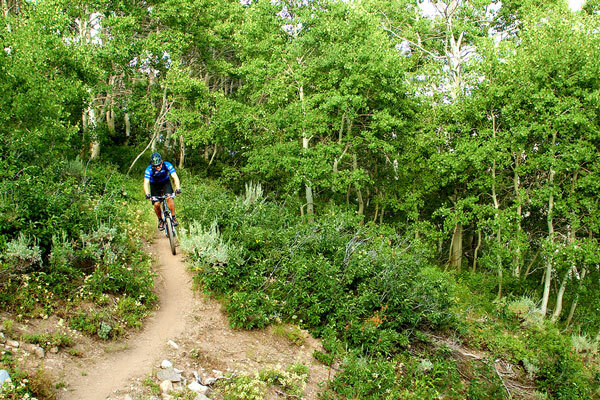 For mountain bike enthusiasts, Snowbasin's single track trails are well maintained and wind through scenic aspen groves and gladded pines. All levels of riding are available from the base, including gondola accessed trails. More than 26 miles of trails connect to additional Forest Service routes for nearly 50 miles of fun. Enjoy the fresh mountain air and beautiful scenery while challenging your friends to a round of disc golf! Snowbasin has a nine hole course which utilizes the terrain of the mountain for hazards. Needles Lodge serves snacks, drinks and a full lunch menu to hungry visitors. Snowbasin continues to host Saturday Night Mountain Top Dining as well as Sunday Entertainment and BBQs. For more information on these or other activities visit skiutah.com.